Orlando (January 16, 2019) — The new Orlando CityPASS® program, which debuted recently, lets visitors to Florida build an individualized, easy-to-use ticket to Orlando’s most famous and family-friendly theme park collections: the Walt Disney World® Resort, Universal Orlando Resort, SeaWorld® Orlando and LEGOLAND® Florida Resort. Walt Disney World Resort—Choose 1 Park Per Day, Park Hopper® or Park Hopper® Plus tickets for entry to the parks under the resort’s umbrella, including Walt Disney World’s Magic Kingdom®, Epcot®, Disney’s Hollywood Studios®, Disney’s Animal Kingdom® Park, and Disney’s Blizzard Beach® and Typhoon Lagoon® water parks. Park Hopper Plus—Admission to multiple theme parks per day, including Blizzard Beach and Typhoon Lagoon water parks. Note: No matter which Disney ticket type travelers select, they’ll also receive MyMagic+ and FASTPASS+ service. Universal Orlando Resort—Jump from park to park or visit one park per day with tickets that cover entry to Universal Studios Florida, Universal’s Islands of Adventure, and Universal’s Volcano Bay. This epic vacation destination is home to exciting and thrilling experiences, including both The Wizarding World of Harry Potter—Hogsmeade and The Wizarding World of Harry Potter—Diagon Alley. SeaWorld Orlando—Pick one, two or three parks for thrilling rides, animal encounters, water slides and wave pools. SeaWorld Orlando and Aquatica Orlando, SeaWorld’s Waterpark®, are the two local attractions. For travelers with plans to explore beyond Orlando, the three-park option is ideal, as it allows three visits to any combination of the following parks: SeaWorld Orlando, Aquatica Orlando, Busch Gardens® Tampa Bay and Adventure Island® Tampa Bay. LEGOLAND Florida Resort—One or 2-day tickets available for all rides, shows and attractions at a park designed especially for kids age 2-12. Although already chock-full of engaging activities and hands-on fun, the 150-acre theme park is currently preparing to add three brand-new attractions based on “The LEGO® Movie” (scheduled to open in spring 2019). 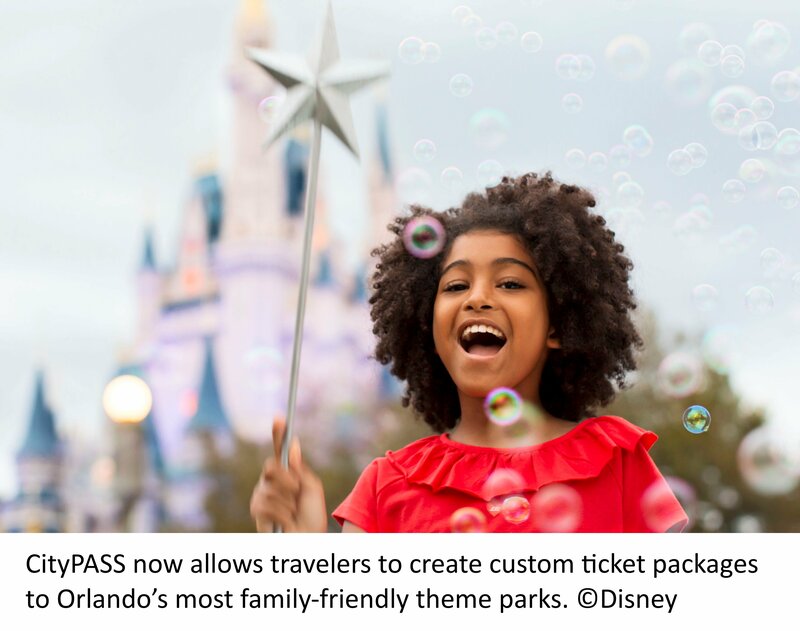 Upon visiting the Orlando page of the CityPASS website (citypass.com/Orlando), travelers can select the parks they want to include in their customized ticket and then choose the specific type of ticket and number of days. Once the selection process and payment is complete, the ticket is delivered in the language the buyer selected when first entering the CityPASS website (language options include Chinese, English, French, German, Italian, Portuguese and Spanish). Prices, savings and programs vary depending on selected tickets. CityPASS® and City Pass® are registered trademarks of City Pass, Inc. All rights reserved.